The GCU Event Center will be a cross between the US Airways Center and the Dodge Theatre. 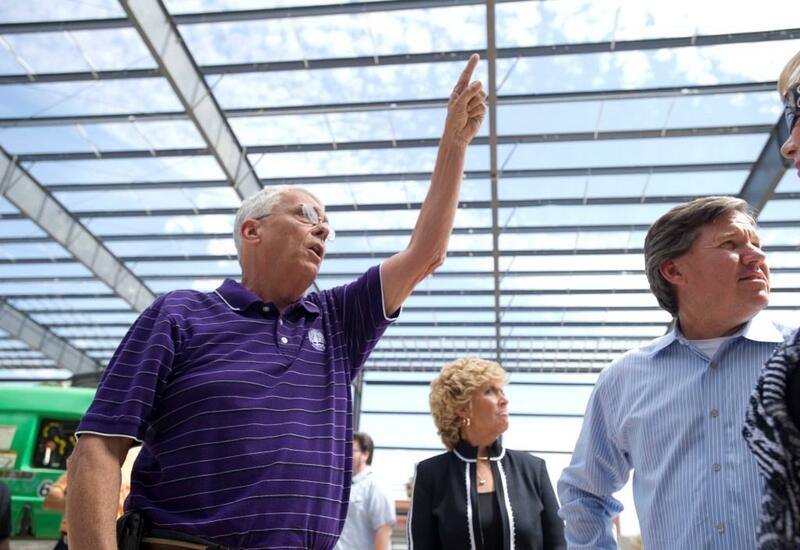 GCU’s new Event Center has an old pro overseeing the project, and he says he hasn’t had this much fun in years. Bob Machen, who was involved in the construction of US Airways Center (formerly America West Arena), Chase Field (formerly Bank One Ballpark) and the Dodge Theatre — all high-profile projects in downtown Phoenix — is now working his maestro magic on our 100-acre campus, with $60 million in construction projects going on simultaneously. The most prominent of those is the 5,000-seat Event Center, for which the University will break ground on Friday, June 25. The facility, situated on the southeastern edge of campus, is scheduled to open in the fall of 2011 and will be the new home of the Antelopes’ men’s and women’s basketball teams. 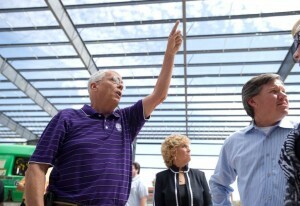 Bob Machen giving GCU administration a tour of the Recreation Center - just one of the projects he is leading on campus. Machen (pronounced MAY-chen) says the venue is like a cross between US Airways Center, where the Phoenix Suns play, and the Dodge, which hosts major concerts and theatrical productions. “I’ve worked for two great visionaries: Jerry Colangelo and now Brian Mueller,” says Machen, a native of western Pennsylvania who moved to Arizona as a child in the 1950s and graduated from Scottsdale High School and Arizona State University. Machen says the University has set the bar high for the facility. The architects are Architekton of Tempe and 360 Architecture of Kansas City, and the contractor is Perini Building Company, which built America West Arena and recently the $8.3 billion CityCenter in Las Vegas. Machen joined the project last July after feelers were put out by GCU board member Jack Henry, who is a friend. He had been working as a consultant after a 37-year career with the Suns organization. When he started with the Suns in 1969 as their business manager, the team had a front office of only eight people. Eventually, he became president of Sports and Entertainment Services, a Suns subsidiary, and supervised a staff of 300. And so it has been with the Event Center, whose plans have been shaped by visits to arenas on the campuses of the University of California at Irvine (Bren Events Center, 5,000 capacity), the University of San Diego (Jenny Craig Pavilion, 5,000) and the University of Southern California (Galen Center, 10,000). The easygoing Machen, who is often seen on campus behind the wheel of his purple golf cart, checking on work being done, says he is right where he wants to be. Reach Doug Carroll at 602.639.8011 or doug.carroll@gcu.edu. 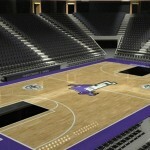 How about a newly designed Lopes logo on the court?? ?